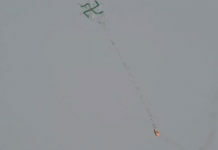 Since 2000 the city of Sderot has been a target of rockets fired from the Gaza Strip into Israel. British Academic Dr Alan Craig visited its media centre and heard a message of civilian suffering and communal resilience. As a frequent visitor to Israel I like to think I know my way around. Heading north through Herzliya or east to Jerusalem is to pass through familiar territory. South of Tel Aviv is another matter entirely. But getting to Sderot from Tel Aviv turns out to be an easy drive down Highway 4, passing signs to the coastal cities of Ashdod and Ashkelon before swinging inland along the 34, with Gaza on the right and Sderot on the left. No more than an hour’s drive in the rented Fiat. The turn off for Sderot is attractive, marked with wide tree-lined roads and neatly trimmed borders, until the landscape reveals 1970s architecture and empty lots, and eventually Ha’histadrut Street where I am to meet Noam Bedein, the Sderot media centre’s young director. 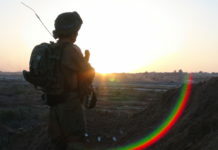 Sderot has had more than its fair share of distinguished visitors. 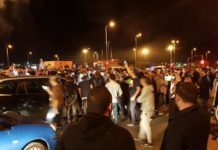 In July 2008 Senator Obama interrupted his Presidential campaign with a brief visit to Israel, choosing Sderot to declare his ‘unshakeable commitment to Israeli security’ and promising to ‘tell the story of Sderot.’ In fact the Sderot media centre has been telling the story, or as they put it, ‘communicating the reality of Sderot,’ since 2006. I had first come across the centre in 2008, when it became the focus of foreign journalists excluded from Gaza by the IDF during Operation Cast Lead. 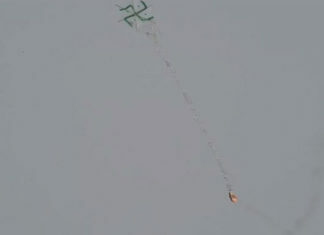 In 2012, news of rocket attacks on Sderot featured prominently in the run up to Operation Pillar of Defence. Less than a mile apart, the story of Sderot is inextricably linked to the story of Gaza, to Hamas rocket fire and Israeli military operations. I am curious to see how the media centre is going to explain the situation, or ‘frame the narrative’ as academics would say, to an outsider. Ha’histadrut Street is a residential turning near a rundown shopping parade. The media centre is located in a converted bungalow. First impressions are of computers, cheap desks and a lot of energy as Noam launches into his message. I am expecting a tirade against Hamas, but what I get is a detailed picture of a community living under the constant threat of rocket attack. I am expecting a military briefing. Instead, I get a humanitarian message of civilian suffering and communal resilience. Statistics tell the story – 8,600 rockets have hit the city since 2001. Noam explains that we are in the bomb shelter capital of the world, where the government has spent $150 million on bomb shelters. With only 15 seconds warning of an incoming rocket, bus stops are bomb shelters, playground animals are bomb shelters, shop basements are bomb shelters. The Israeli government is spending a small fortune for Sderot’s aging apartments to be upgraded with an additional blast proof room. Like most of the volunteer staff, Itzik studies communications at the nearby Sapir College. He shows me around and our first stop is the collection of rocket parts on display at the local police station. This impresses, and the description of their increasing range and potency is interesting, but it is not so much the rockets that speak to me; it is the distortion of the familiar. For example, bus stops are closer together than normal and their construction is both familiar and disturbing, as though viewed through a distorting lens, with thick walls and roof. We see a bomb shelter in a playground – a reinforced concrete snake with an unconvincing smile. Parts of Sderot are too close to Gaza to be protected by the Iron Dome; 15 seconds does not give time for today’s technology to intercept the rockets. I am left with the impression of intolerable risk and begin to wonder why people would live here at all. Sderot has always been on the periphery. The Israeli governments of the 1950s were in a hurry to populate the border areas to give meaning to military disengagement lines. No one was rushing there from Tel Aviv. Newly arrived Jews from Kurdistan and Iran were crowded into tent encampments, the forerunners of the current apartment blocks. 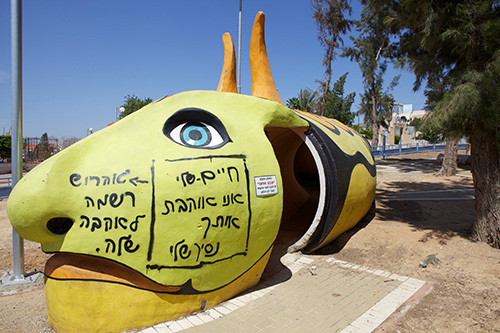 Today Sderot reflects the waves of immigration from North Africa and the former Soviet Union. Moroccans are in the majority. More recent immigrants have arrived from Ethiopia and Somalia bringing the population to about 25,000. Incomes are low. It is hard to imagine high tech companies choosing to relocate here but Itzik talks enthusiastically about a new rail link to Ashkelon 15 miles up the coast. 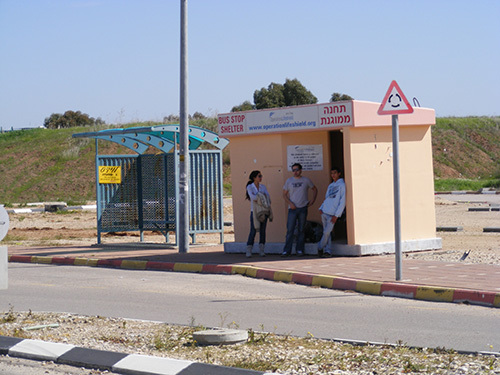 The hope is that the cheap apartments in Sderot will attract new families to the city. In fact there is a grander vision at work that encompasses the regeneration of the Western Negev. The new rail link which opened in December 2013, three months after my visit, extends all the way to Tel Aviv – a journey of less than an hour. Speaking at the opening ceremony, Transport Minister Israel Katz declared that the railway would ‘bring prosperity to the whole region,’ while Prime Minister Netanyahu proclaimed that Sderot is now a ‘suburb of Tel Aviv.’ But these ringing declarations of imminent prosperity sit uncomfortably alongside Noam’s precarious reality. Over a delicious meal at Eli’s tiny one table Moroccan restaurant, he explains that Sderot is living in a ‘reality that does not make sense, but has somehow become acceptable.’ The new railway station is rocket proof, hardly an indication of impending normality. Noam’s message of vulnerability and resilience is aimed at the international media, but his real concern seems to be with successive Israeli administrations that have failed the city. The international community, he says, needs to understand that Israel has to be able to use force to protect Sderot. However, unlike Ashkelon and Tel Aviv, Sderot seems to me to be on the wrong side of Israel’s red line. 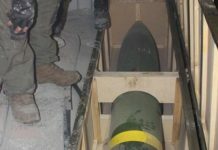 There is an unspoken suspicion that Israel can tolerate occasional rockets as long as they are directed at the Western Negev and not Tel Aviv. Noam grew up in Efrat, a religious suburb of Jerusalem, on the wrong side of the Green Line, and it is not long before he applies the Sderot reality to the current negotiations with the Palestinian Authority. 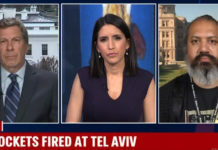 He explains that the experience of Sderot shows that the Palestinians will not accept the 1948 borders any more than the post-1967 lines and that an Israeli withdrawal from the West Bank will expose Israel’s population centres in the future to the rocket attacks that Sderot faces today. This certainly is a danger but it seems to me that there is an alternative reading of the situation which needs to be acknowledged. 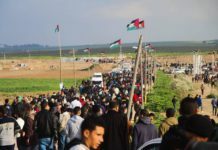 By failing to make peace and undermining the Palestinian Authority, Israel runs the risk of empowering Hamas on the West Bank and sooner or later ending up with another Gaza on the door step. Driving back to dinner at Tel Aviv’s Ben Yehuda Street, I reflect that it is impossible not to be moved by Sderot’s narrative of humanitarian distress. Stuck out on the periphery it demands the attention of the centre. But it will take more than a railway to make Sderot a suburb of Tel Aviv while Gaza remains its closest neighbour. Dr Alan Craig is the Pears Lecturer in Israel and Middle East Studies at the University of Leeds. This article features in the new issue of Fathom , which is online now.